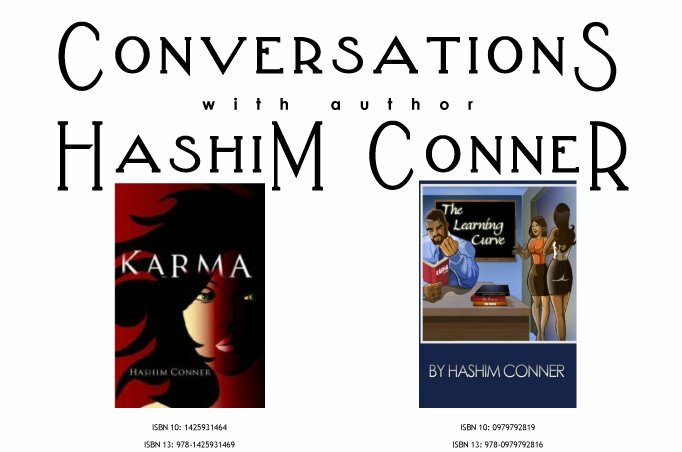 Hashim Conner asks: Is the biggest problem between men and women that women are constantly thinking about the future, while men are constantly thinking in the present? Yes, yes and yes! From males ranging from 21 to 40! Wuz up wit that?! That's true to Ellington, I agree with that as well. Elantis it's a little bit harder for us to think about the future because we are so consumed with today! I think it's in our upbringing! No, the biggest problem is that the two are usually thinking too much and talking to each other too little!!! True 2 all statements made! Tiffany I know that's not all you offering today!!!! Agree w/Ellington cuz I’m so guilty of doing that when I get mad hehehe (getting better @ putting that N/ check though) yet Jennifer your statement rings so true. I think the biggest problems amongst the two sexes are a lack of communication. We all probably think about past, present, and future but may verbalize one thought more than another. Lamar, I think women think about the past when their mate is still trying to live in it. My most popular saying is "don't let your past dictate your present because it can destroy your future." Well put Krystl...I’m learning lots from this. Ok and what’s the problem with that? The two right people create what you call BALANCE! You are so very right!! Leave all of it behind because the past is the past!! So true on males with the short memory! Ellington great example and I totally agree with that statement. We do have short memories. Lamar I think you CHOOSE to forget. Lol. To go back to the original question, I don't think women think about the future any more than men. What we think about may be totally different. Women may think about getting married, having kids, etc whereas the men may be thinking about what his next car will be. And Traci is right...it's called balance. A mom may be planning for her 10 year old child's college fund while dad is thinking about the child's current standing in school. There are no statistics to prove who thinks about what more so again communication is the key. U need a talk show homie! 4 real!.....this might be the best one I've seen! Honestly FB fam i think this discussion is not hitting on Hashims status! i think we really got of the real subject! Thanks Kev, I appreciate it!!! In defense of past vs. future someones past traits can trigger a bad memory if someone in your future does the same thing. Its not always bad especially if u don’t want to go thru the same B.S. Again. Sure! I'm sure everyone has exes whether it be husbands, wives, baby momma, daddy, etc. If ur in a relationship and you find yourself communicating with an ex on a regular it can get real messy and it can possibly spark old flames. Who needs/wants the drama? Let it be what it is...the past. My question would be "would my man be comfortable if he ... Read Moreknew my ex and I were conversing on a regular and reminiscing about the past?" Or "could I or would I feel comfortable sharing this with him?" Or "am I hiding the fact that I'm talking to ex? If the answer is yes to the 1st 2 and no to the last question u probably need to check yourself! P.S. When children are involved I'm sure it's different...:-) Gotta go back to work now! Yeah ok Lamar...Lol. We'll discuss this later...off FB! That was exactly what I thought you may have been talking about. The key point to that statement is "ON A REGULAR" If you find yourself having regular discussions with an ex then you are correct it could cause problems for you. But is there really a problem communicating with a ex every blue moon? Statement two would be the fact that every ... conversation with a past relationship doesn't stroll down memory lane; they seem to only get there if you are talking on a regular. Speaking for most men if my girl was talking to an ex one I am pretty sure that I wouldn't know about it if she was talking to him on a regular that may be an issue but not as much of a concern if she talked to him every now and then. If you all were reminiscing about the past that could be an issue! Another key is the fact that past relationship ended for some reason or another. Both parties know this and that alone may be enough to ensure they don't stray back down that path! Ok, ok...men and women differ because they want to....enough said. Everything that has been stated 2day was n the book i read by Steve Harvey Act like a lady think like a man. That book enlightened me on how men think. It’s totally different. We r totally different! You will also find similar things in my next book! The Congregation which will be out soon!!! This has been another great discussion! "Point Seen, Money Gone"! Babe we need to invite everyone to the next "hot topics" party! Great discussion! And I'm Lol @ my girl Tiff! Luv ya boo! I'm really going to have to read Steve's book! Everyone is invited to the next hot topics discussion!!! Whenever it is!!! Let me start hustling rite now!!!! Can I hitchhike for a plane? Someone tell me please!!!!!!!!!!!!!!! !